Theory Classes – Over Already? Theory Classes - Oh no, are Theory Classes over already? "Are Theory Classes over already?"... 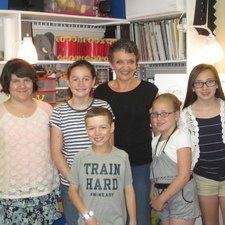 is a common question for Joanne Barker since she started her Ultimate Music Theory Classes. Guest Blogger – Joanne Barker RMT (affiliate), UMTC is the creator of the UMT Games. Joanne has been teaching piano for over 35 years, teaching group lessons from beginner through to Grade 8 Conservatory. Students asking me if theory classes are over already seems to be a regular occurrence in my theory classes since I started using the Ultimate Music Theory series. 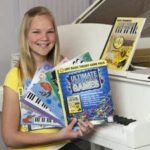 I chose the Ultimate Music Theory Workbooks for my group piano and theory classes in 2011 and quickly discovered that they are the best books I have ever used in my 30 plus years of teaching! 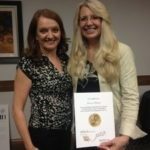 I was so excited when I discovered that there was actually an Ultimate Music Theory Certification Course which I completed in July 2012. In over 30 years of teaching, this was the first time that I had ever had the opportunity to attend an intensive, hands on music theory course like this. It was time well spent! Now, my theory classes meet weekly for 60 minutes and in a typical lesson we cover the usual piano lesson components - technique, sight reading, ear training, repertoire and theory. The UMT way of introducing concepts, the quick and easy teaching tips and the clearly laid out pages all help my students enjoy their theory classes. I am finding that many of the UMT tips have found their way into beginner theory classes as well. I decided to introduce the concept of harmonic and melodic intervals to a class of first year students, ages 5 and 6. UMT calls harmonic intervals the "Harmony Hotel" and the melodic intervals the "Melody Motel". We drew the intervals on the UMT whiteboard and we used the memory jogger of the H for Harmony Hotel (harmonic interval) and M for Melody Motel (melodic interval). My UMT teacher whiteboard is the most used item in my studio, next to my piano and keyboards. It sure makes the introduction of a new concept easy to convey to a group of children. In a very short period of time - mere minutes - the concept was introduced, explained and understood. It was now time for a Game about the Harmony Hotel and the Melody Motel. Since completing the Ultimate Music Theory Certification Course and using the UMT materials with my own students, I am thrilled to now be a part of the UMT team as the creator of the UMT Games. I have been creating music games for over ten years and I know just how much my students have benefited from using them. In collaborating with the UMT Team, I hope teachers and their students enjoy the Ultimate Music Theory Games that I have already created and I look forward to creating more UMT Games in the future!